A successful build means paying your builder in a timely manner - not too much - not too little. You may be unsure how progress payments work and are concerned that managing these payments as the building work progresses will be time consuming and stressful. At NewBuild we manage your construction finance from beginning to end, starting with how much of your deposit is split between the land purchase and the building contract. If too much goes to the land you may be left short on your builder’s deposit. But too much deposit to the builder may exceed your third party guarantee and leave you financially exposed. NewBuild ensures your third party guarantee is in place before any payments are made. We also make sure your builder’s risk insurance is in place and in force before all payments. Critical to the success of your next new home build is how NewBuild manages all of the inspections for progress payments. Through our network of experienced on-site building inspectors, the percentage of completed work is confirmed before every payment. This means the payment to the builder is based on the work done, not on the builder’s invoice. 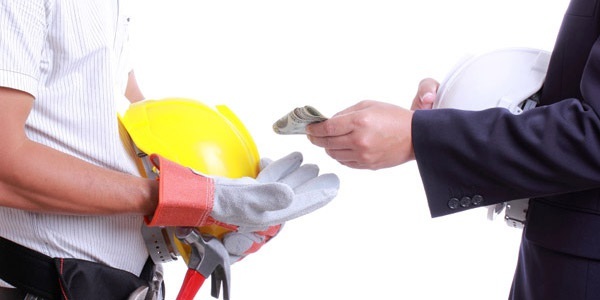 Money is then released from your loan directly to the builder, without the need to pass through a holding account. This prompt and accurate turnaround ensures the builder’s expenses are met so he can keep making progress on your home. Despite your best efforts, you may have a dispute with your builder. The team at NewBuild is available to assist with the management of disputes, including advice on industry requirements and best-practice procedures. Finally the big day arrives and you are ready to move in to your new home. The handover process at this stage is critical, as it leaves a lasting impression on all individuals involved. NewBuild’s service includes liaising with all parties regarding the completion certificate, code compliance certificate, and final invoice. Once your home is complete and your construction loan is fully closed, your NewBuild advisor will continue to be available to you as your financial advisor. He or she is able to advise you on mortgage structure, market conditions and any other questions you may have regarding your new home and possibly most significant financial asset. How do I manage the progress payments to the builder? Many who have already built a home admit that it’s really hard managing the progress payments. How do you know if you are paying the right amount – not too much, not too little?